For more autumn beauty, please visit: Skywatch. 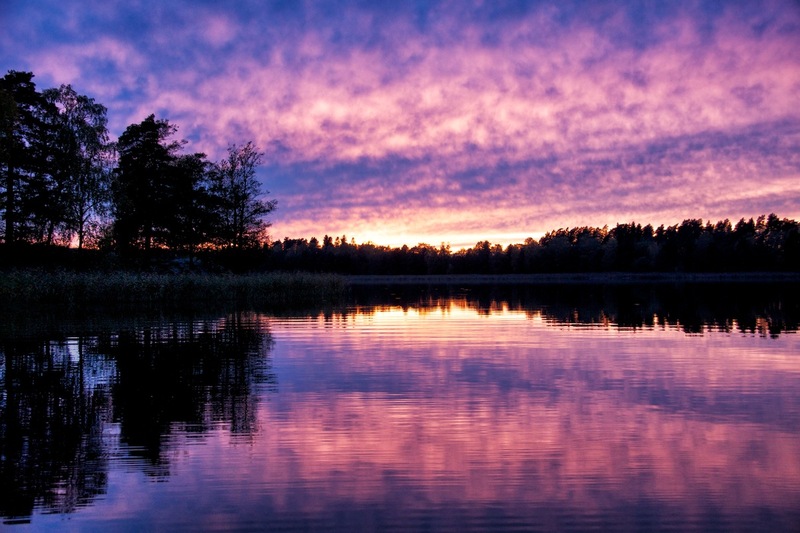 Posted in Skywatch, SunsetTagged autumn, beauty, lilac, Nature, rainbow colours, reflections, SwedenBookmark the permalink. beautiful images and beautiful words 🙂 Happy Day to you LadyFi! “Lilac veils” caught my eye. Impressionism, yes. Monet would be pleased! It must be wonderful to witness such beauty first hand! nice…autumns dance of the veils…how alluring it is eh? smiles. I do love your “dance of the veils”!! Superb captures, glorious colors and the perfect words to match!! Thanks for sharing the beauty, as always! Have a great weekend!! Lovely reflections and beautiful colors! Gorgeous captures of the sky! Have a happy weekend! Återigen, otroligt vackra bilder! Vilka färger och vilka speglingar! Too beautiful Fiona, the colours are magic! You are so lucky to have such beautiful sunsets so regularly! It is so beautiful, just as I remember it, it is the world of my childhood. That beautiful sky looks like you Fi, it is superb. He doesn’t always swim… but I miss him too! Very nice, I love these clouds represent the beauty of nature! Beautiful photos! Heart soothing magic. Thank you. Truly such beautiful light and color. 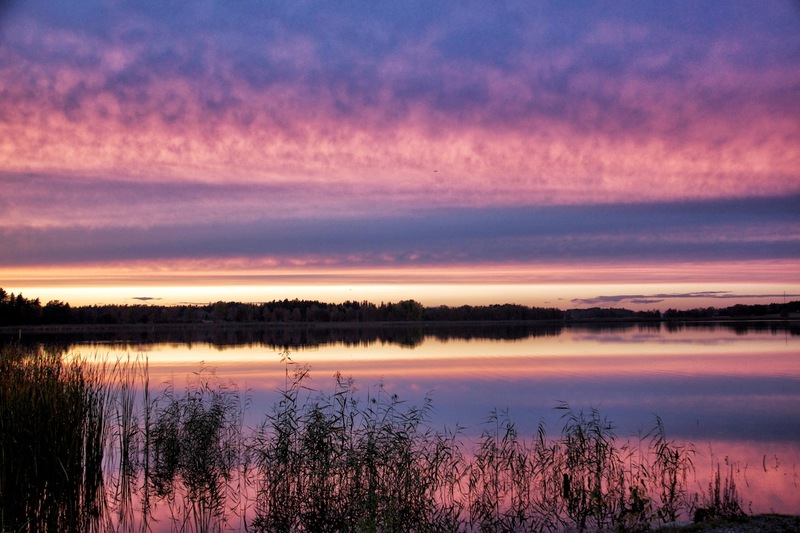 I love the colors of the sky….looks like ribbons on a present! Your dawns and dusks are so beautiful – I wonder if that is because you are so far north? A play of sunlight and curvature of earth? So lovely. Cloud rainbows…I LOVE that reference. Your photos are always pure grandeur. . Sigh. I want to live here. Magnificent sky and photographed to perfection. The colors in your world are just astounding. I love how nature colours your world.. and how you and your camera capture it. In hindsight, I could add, ‘strange and wonderful, your purple haze’. A free spirit. Gorgeous, Fiona… I’d love to have a quilt made out of those colors… Love them!!! I love your purply skies. Great reflections = double the beauty. makes you wonder whether it’s for real…….so unbelievably calm and peaceful. Sunset colours are breathtaking, aren’t they! The colors are beautiful, the colours are magic! I so love your lake! Awesome as usual! Love the layers of light, colors and reflection. Wonderful! The colours are stunning again. Lindo, lindo, lindo de mais! Sem palavras! Beijos! Takes my breath away – awesome! I just love the vivid pastels of your sunrises and sunsets! We seldom get purple in ours! And the silhouettes of the shoreline grasses is such a wonderful touch. Gorgeous sky pictures with great color! Impressive captures of nature’s beauty. Marvelous shades of purple and so peaceful ! These photos actually made me gasp at their beauty! Oh Fiona! These are marvelous! I love that lilac color! I rarely see it here in nature. Autumn is my favorite season of all! Happy weekend! How striking, as well as the rainbow. Excellent photos. Helllo! Just stopped by via Geraldines’ blog to say that your photography is absolutely stunning! When I have more time I will be stopping back to peruse more. Have a wonderful weekend! Hi! Very beautiful! Wishing you a wonderful weekend. SO breathtaking–fills my eyes to the brim. Which is the greatest compliment I can give. You get the best sunsets – gorgeous! What a view! Have a nice weekend! Beautifully these pictures of the sky. The most beautiful colors and great reflections. I love the colors of the sky. Amazing colours. I am so jealous. You make me want to move to Sweden, find a cottage and a lake and stake out my photography spot…now that is definitely something. That’s an amazing color palette in the sky! Thanks for stopping by. It is just like a lilac veil. Gorgeous. Am I number 100 comment ? Obviously I am not alone in thinking these are brilliant, amazing, fantastic photos!! Those reflections are simply breath-taking!!! You always have the most beautiful sunsets over your lake!! !